My original blogging consisted of going on walks with Zeke while snapping pictures along the way. It was (and still is) one of the ways that I shared myself and my thoughts through my blog. So, needless to say, when I stumbled upon Robin’s beautiful blog, I felt an immediate connection. Since so many of us are inter-connected in various circles, I shall not even attempt to try to figure out just who introduced me to her 😉 Does it matter, really? I think not. Her pictures are simply put, gorgeously oustanding. The thoughts she shares during her meanderings are lovely and inspiring, full of joy and well-being. I may have more than once borrowed her idea on inserting quotes to start off my posts. She celebrates earth and nature and love and peace and I would love to walk with her on her Wabi-Sabi Ranch, to view the sunset from the pier… She always knows what time sunset is. 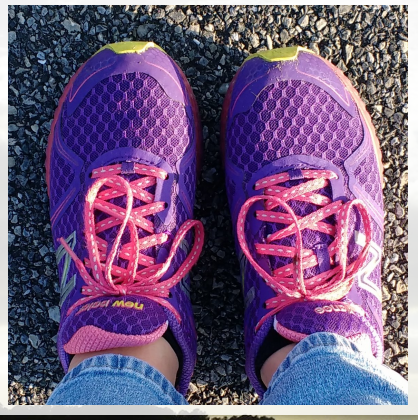 Her yearly “Walktober” challenge is a great way to see various writers’ habitats. I have participated twice and will surely do so again, should she run it. And why wouldn’t she? Thank you, Robin, for being you!